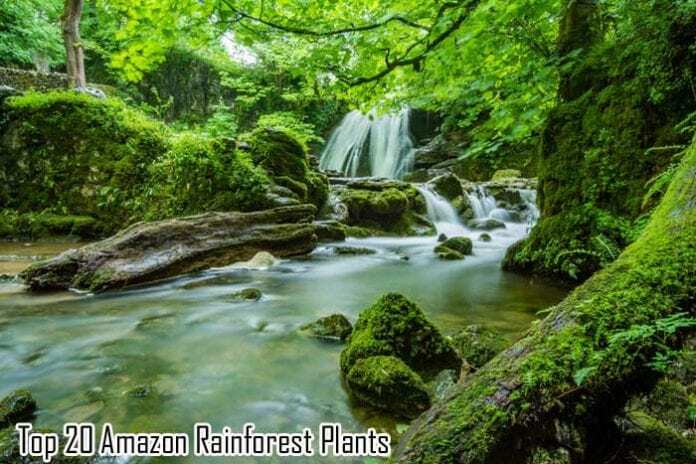 Amazon Rainforest Plants: The Amazon Rainforest is known for being the largest tropical rainforest in the world, covering much of Brazil, Peru, Colombia and other countries in South America. Because of its strategic location, the Amazon Rainforest is naturally a home to the world’s unique and most diverse plant and animal species. Regarding plant life, the rainforest is oozing with biodiversity because more than 60,000 species of plants and trees can be found here. Out of these thousands, we’ve listed below some of the most common yet most spectacular plant species that can be found in the region. Check them out. Known as the Hanging Lobster Claw due to its shape, the Heliconia flower is one of the most common floras in the Amazon. 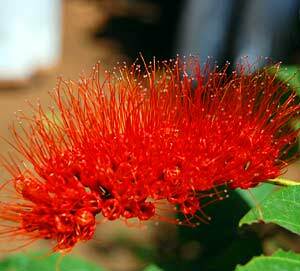 It is primarily characterized by its brightly colored flowers that attract insects and birds. Hummingbirds rely on this plant for its food and nesting, and in return, they act as pollinators for this plant. 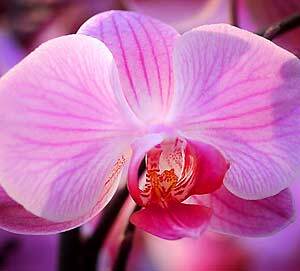 Considered as the largest flower family in the whole Plant Kingdom, the Orchid family (Orchidaceae) is composed of members that are very adaptable to almost everywhere. Like any other flowers, they depend on other organisms for their pollination. Orchids found in the Amazon are known to be epiphytes. Meaning, they have roots that tend to colonize the branches of their “host” plants, thus allowing them to have direct access to water. 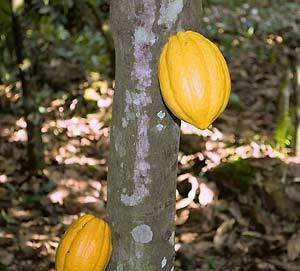 The Amazon rainforest is also the home to the plant where chocolate grows–Cacao! This plant, which is about 15 to 25 feet high, is an evergreen that grows pods having 30 to 60 cocoa beans. These pods are green in color when young and gradually turn reddish brown when it is ready to be harvested. Its genus name Theobroma means “food for the gods“, and everyone who loves to eat chocolate or any cocoa product knows why such name is so fit for it. The next plant in this Amazon rainforest plants list is the beautiful Passion Flower, a vine that is often seen hanging in the canopy of trees in the Amazon Rainforest. This unique flower is very distinct because of its white and purple flowers that have a seemingly plastic appearance, and an intricate smell. Amazonian tribes use the leaves of the flower as pain relievers and sedatives. In addition to this, the fruit itself, called as the Passion fruit, is edible and is used to treat a cough. Growing in the waters of the Amazon river basin, the Giant Water Lily Victoria amazonica protects itself from predators by growing thorns in its leaves. As its name suggests, one of the most interesting facts about this lily is its very large leaf surface that can grow up to 46 centimeters in diameter. The leaves of this plant are so strong that they can support up to 136 kilograms and definitely can hold the weight of an average human being. 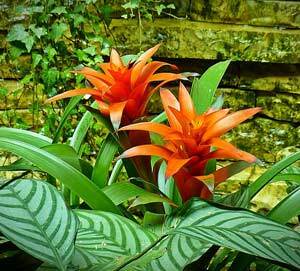 Bromeliads are tropical flowering plants that appear to be very bright in color. They usually range from color blue and purple to red and orange. And just like the Passion Flower, bromeliad flowers also produce fruits. Bromeliads have a remarkable way of storing water and food. 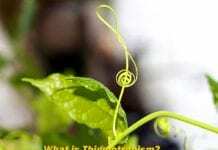 They have adapted their leaves to curve and overlap at their bases to form a sort of water tank. Large Bromeliads can hold up to 7.5 liters of water! 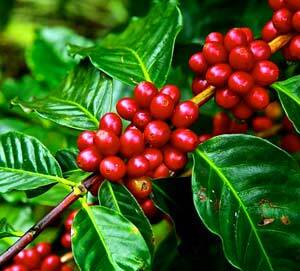 Coffee plants, which grow up to 30 feet high, are also widespread in the Amazon Rainforest. Inside its juicy berries are coffee beans that eventually make this plant one of the most important plants in the world. 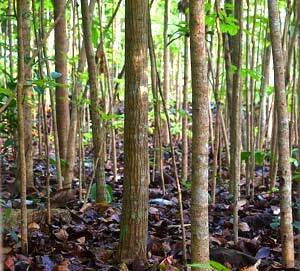 Typically, coffee plants grow under tree shades; hence the Amazonian forest environment is perfect for it. Economically speaking, the Rubber Tree is considered as one of the most valuable plants for Amazonian indigenous people. 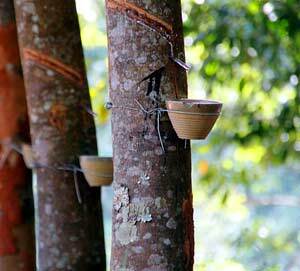 This is primarily because the said plant is the source of latex that is used in the manufacture of rubber. Records show that this plant was endemic only to the Amazon rainforest but was smuggled to Southeast Asia and eventually propagated there. Plantae Zingiberales Musaceae Musa Musa sp. Also common in the Amazon Rainforests are bananas. 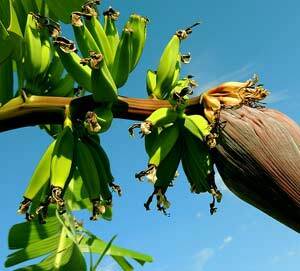 Contrary to the popular belief, bananas are not trees but are actually herbs. Being as such, their stems contain about 93% water. Bananas are considered as one of the most widely known fruits and as the fourth largest crop worldwide. This is because an average banana plant (weighing 100 pounds) can grow up to 150 pieces of banana fruits all at the same time! Found in the Amazon Rainforest, Poinsettiapetals” of the flowers are not the petals themselves but are actually the leaves. Their flowers are the yellowish stalks that are surrounded by the colorful leaves. The red leaves of the Poinsettia are called “bracts” that serve to attract pollinators. 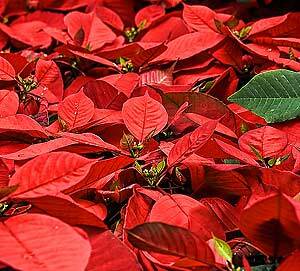 The Poinsettia blooms during December, hence often called the Christmas Flower. The interior part of the Amazon Rainforest contains the most exotic plants and animals in the world — the Monkey Brush vine is one of them. The Monkey Brush vine is a parasitic vine that thrives by entangling with other plants or trees. When it blossoms, it produces bright red and yellow interior flowers that slowly burst open, giving it the “monkey brush” look. The Sapodilla is an evergreen that is found throughout the Amazon rainforest. This slow-growing plant is wind-resistant and has a complex root system that allows it to grow in the harsh environments of the forest. 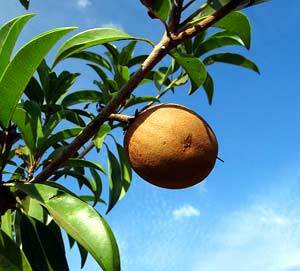 The Sapodilla has long been used by the Mayan and Aztecs to produce the first chewing gum. The sap (known as ‘chicle‘) is boiled, molded into blocks, and then cut into bite-sized pieces as chewing-gums. Endemic to the Amazon Rainforest, the Murumuru is a palm tree characterized by having a thick shuttlecock-like crown. Its fruits are edible and serve as staple food for indigenous people in the area. The Murumuru palm tree is the source of the “Murumuru butter ” that is known to be rich in numerous vitamins and Omega fatty acids that are the answer to damaged skin and hair. 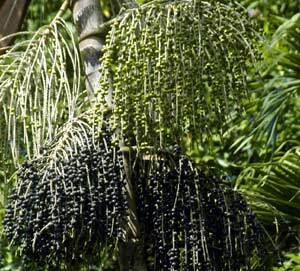 The Açai Palm tree is believed by scientists to be the most abundant tree in the Amazon Rainforest. 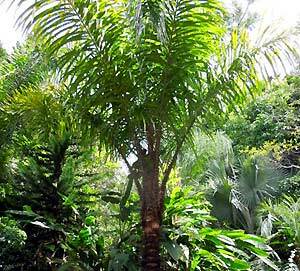 This tree is described by having a spectacular green feather-like crown made of palm leaves. Every year, each stem of this tree produces 4 to eight bunches of berries, with each bunch weighting up to 6 kilograms! The Açai berry produced by this plant is often regarded as the “super fruit” because of its very high nutrient contents. 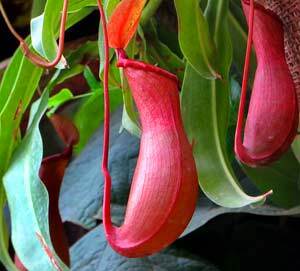 As its name implies, the Pitcher plant is a type of carnivorous plant that attracts its insect prey into its pitcher-like foliage. Inside it is a sweet and sugary liquid (similar to nectar) which smell attracts the potential victim. Once inside, the prey can no longer escape and will eventually be digested by the plant. The Kapok tree is considered as one of the giants in the Amazon Rainforest as it can grow up to 200 feet high (some Kapok trees can even grow at a rate of 13 feet every year). The tree is so huge that it can have a diameter of nine to 10 feet. 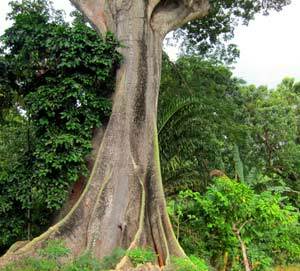 The Kapok tree is widely sought for because of its economic significance. Its wood is very ideal for carvings and canoes. Its seeds can also be used to produce essential oils. Its fibers are used for weaving. Also considered as one of the giants of the Amazon Rainforest, the Mahogany tree stands tall with a height of up to 200 feet. This tree, which can live up to 350 years, has long been considered as a valuable timber product. Its wood is characterized by having a deep reddish brown color and is often used as the material for different musical instruments and furniture. 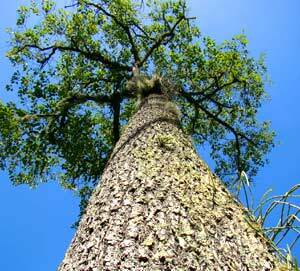 Reaching up to 160 feet high, the Brazilian Nut treegiants” of the Amazon Rainforest. This tree is very sensitive as it can only produce fruits in virgin forests. This tree is very famous for its fruit that has a tough outer covering. This covering is so hard that only the rodent called “Agouti” can crack it open. As a result, the tree depends on the rodent for the dispersal of its seed. Do you know other Amazon rainforest plants that can be found in this region? 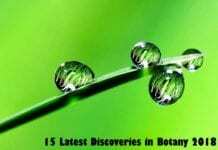 Cite this article as: "Top 18 Amazon Rainforest Plants," in Bio Explorer by Jack Kirsten, November 13, 2017, https://www.bioexplorer.net/amazon-rainforest-plants.html/. “Jungle Blog.” Rainforest Cruises. Accessed November 12, 2017. Link. “Home | Rainforest Alliance”. Accessed November 12, 2017. Link. 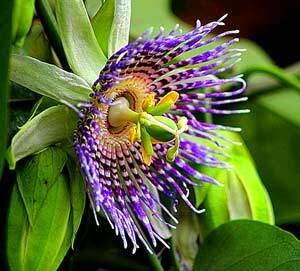 “Passionflower: Rainforest Plants – Passion Flower”. Accessed November 12, 2017. Link. 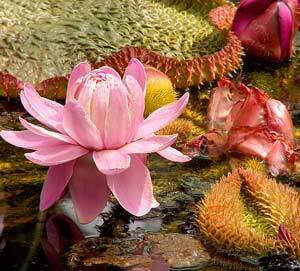 “Giant Water Lily”. Accessed November 12, 2017. Link. “Astrocaryum murumuru – Palmpedia – Palm Grower’s Guide”. Accessed November 12, 2017. Link. 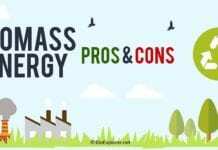 “BBC Nature – Tropical pitcher plants videos, news and facts”. Accessed November 12, 2017. Link. “Rainforest Flowers | Photos & Info | Thinkjungle.com”. Accessed November 12, 2017. Link. 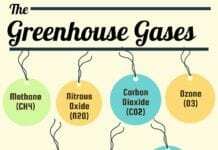 “RAINFOREST TREES, FRUITS, PLANTS AND BAMBOO | Facts and Details”. Accessed November 12, 2017. Link. 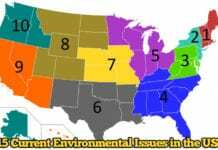 Previous articleWhy Are Tigers Endangered? The rattan palm and the rafflesia are not from the Amazon; they are from Southeast Asia. Hi Sally, What were you looking for that you didn’t find? Can you be more specific?